Offering you a complete choice of products which include temperature transmitters for thermocouple, ss thermocouple portion tubes and thermistor elements. We are the most conspicuous manufacturer, exporter and supplier of a wide variety of Temperature Transmitters for Thermocouple. Offered transmitters are broadly utilized for averaging temperatures, giving a repetitive temperature estimation and measuring differentials. These transmitters are produced with the backing of our keen experts utilizing ideal quality crude material remembering the standards of business sector. Our transmitters are kept an eye on various parameters with a specific end goal to guarantee its faultlessness. Owing to rich industrial experience, we are involved in offering utmost quality of SS Thermocouple Portion Tubes. The offered SS Thermocouple Portion Tubes are highly appreciated amongst our customers due to its hassle free performance and high durability. Customers can avail these products at market leading prices. Note: These sensors will be manufactured according to customer requirements, Please give your thermocouples or sensors required specifications to our mail ID. We will furnish detailed price offer. 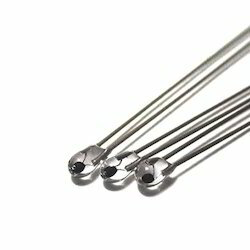 To meet the diversified requirements of our prestigious clients, we are engaged in offering qualitative array of Thermistor Elements. Our offered element is manufactured precisely utilizing superior quality raw material with the help of modern machines powered by latest technology. 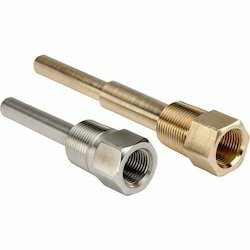 Offered element is accessible in numerous specifications so as to meet the demand of customers. Moreover, customers can avail provided element from us at affordable price within a given time frame. 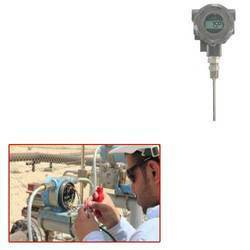 Looking for Temperature Transmitters for Thermocouple ?